Viola is catching up with diary entries between August and September 1922. 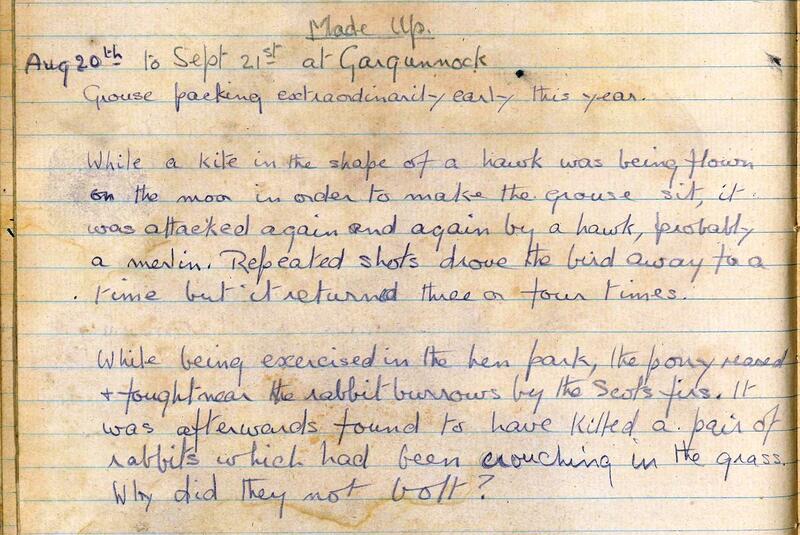 This coincides with the shooting season; there was evidently regular shooting on the Gargunnock Estate at this time. Viola comments on the behaviour of the grouse and another bird in response to the techniques used to make shooting easier for those participating. 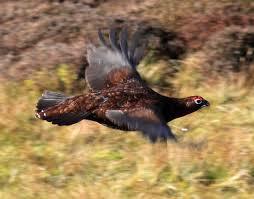 Viola refers to the grouse ‘packing’ early this year. This is a term that was used to describe the birds’ behaviour when they are pairing up for the breeding season and establishing their territory. This usually happens in the autumn, and the male birds become increasingly territorial throughout the winter as they prepare for breeding in the spring. 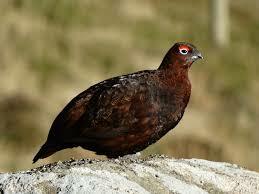 You can find out more about the habits of this distinctive Scottish bird here. Various methods are used to drive the birds towards the guns on a grouse shoot, the aim being to encourage the birds to fly into the air at the appropriate moment to allow the shooters to have a chance to catch them on their way up. In order to stop the birds flying up too quickly, it was common at this time to use a kite in the shape of a hawk to keep the trajectory of their flight low when they were scared by the beaters in order to give the guns more time to aim and fire at them. This interesting entry from the Blog of Market Lavington Museum shows a picture of a similar kite used in England. 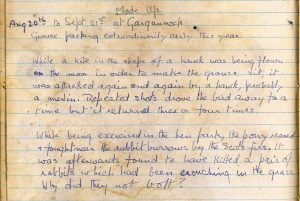 The comments below the blog entry include one from a Scottish poster explaining the use of hawk kites for grouse shooting in Scotland and this makes for interesting reading in the context of this diary entry. 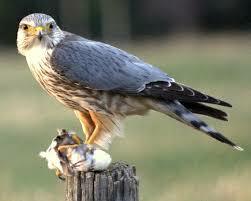 Viola describes a Merlin, Britain’s smallest bird of prey, attacking the hawk kite. It evidently feels threatened by this intruder and continues to attack even when warning shots are fired. You can find out more about this beautiful bird here. Viola ends her recap of autumnal happenings at Gargunnock Estate by recounting an odd story about her pony and the death or two rabbits under its hooves. One can only imagine that they must have frozen in fright and not been able to get away in time. Grouse packing extraordinarily early this year. time but it returned three or four times. rabbits which had been crouching in the grass. Why did they not bolt?